This toothbrush kit would be perfect for the dental, travel of health industry. It can be branded in full colour and would make a great giveaway. Just like the ones you receive on your Qantas long haul flights! 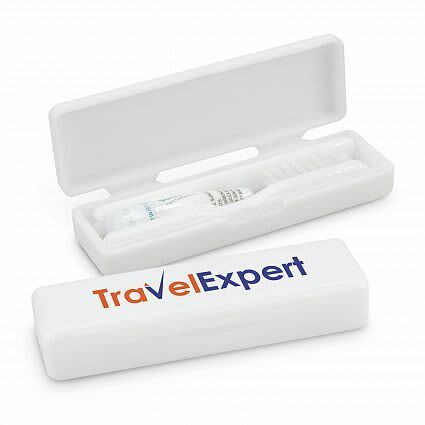 This handy travel toothbrush comes its owns plastic box complete with toothpaste. Pad Print 65mm x 15mm. Direct Digital 85mm x 20mm.